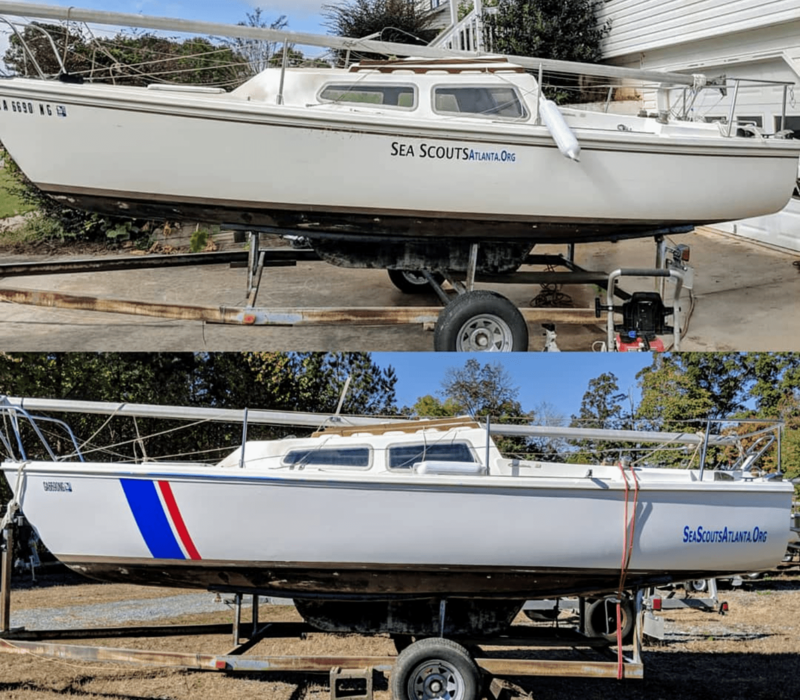 Robert Forrester, Skipper Sea Scouts Southwinds 100 in Atlanta provided this useful story of their fiberglass repair and repainting of one of their Catalina 22 sailboats. This might be useful guidance for others needing to undertake a similar project. See his complete report here, as well as a much more complete set of photos here.